How about some calorie free ice cream? You don't have to worry about these babies dripping all over! I got this great idea from Jackie Topa's blog Addicted to Stamping (Feb. 17, 2011 post). 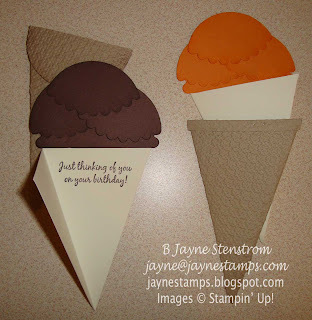 The cones are made with the Petal Cone Bigz Die (pg. 15 in the Occasions Mini Catalog). But they're not just cones - they're cards! The cone and the insert are cut with the Petal Cone die. 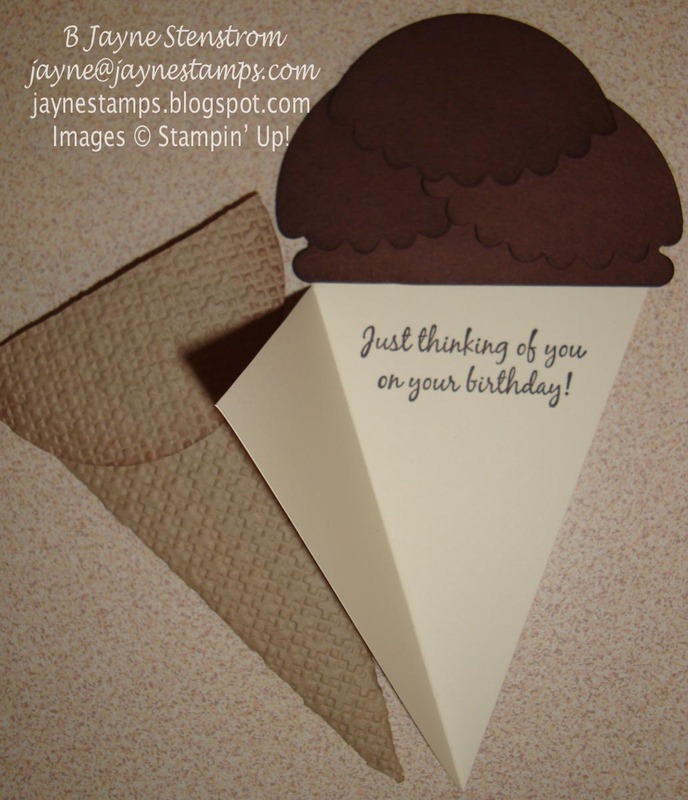 The cone also goes through the Big Shot with the Square Lattice embossing folder . 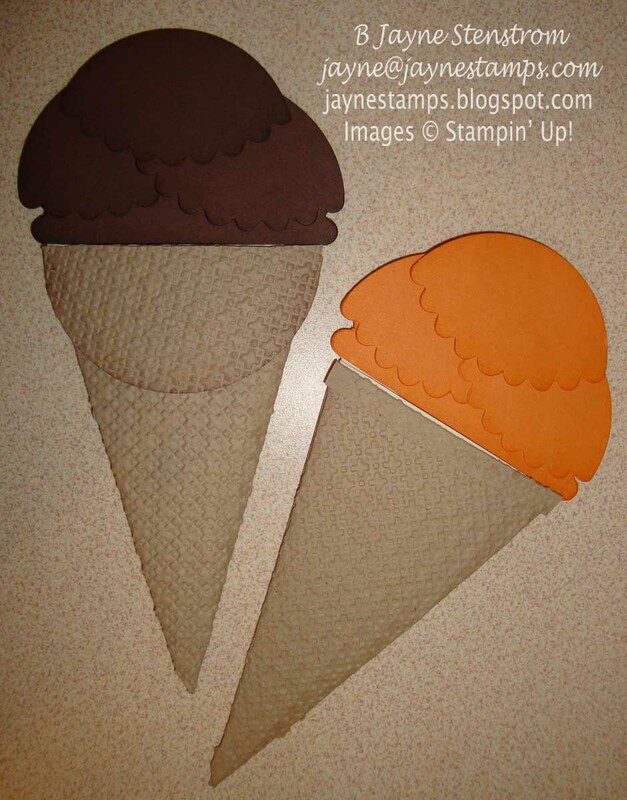 The ice cream is also from the Petal Cone die - the tops are rounded with the 2-1/2" Circle Punch (pg. 11 Occasions Mini Catalog). 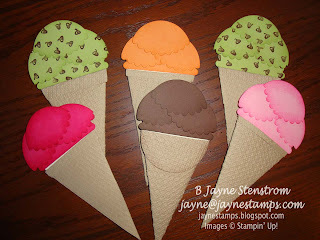 Some of my stamping friends came over awhile ago and we each made two cones. They decided to make one of theirs "chocolate mint chip" ice cream. Yum! These are so cute and really easy to make! Are you hungry for ice cream now?